Ujjwal is an experienced Digital Marketer in B2B or B2C environments with a strong technological background in eCommerce. Currently, he is working at ASSA ABLOY, a global leader in door opening solutions, in the capacity of eCommerce WebShop Manager for the Americas. Previously, Ujjwal served in similar marketing technology positions for Brady Corporation, Total Mortgage Services and UBS among others. He also runs his own consulting company and presents at digital marketing conferences. Ujjwal is a founding member of Save One Life, provides technical guidance to the organization and has served as the chair of the board since 2012. 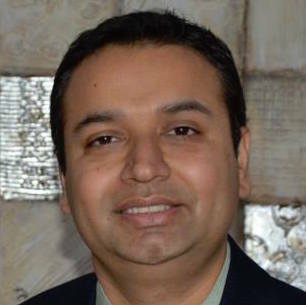 He has a personal connection to the cause of hemophilia and provides leadership support to the Nepal Hemophilia Society. Ujjwal earned his MS from Texas A&M University and currently lives in Connecticut with his family.